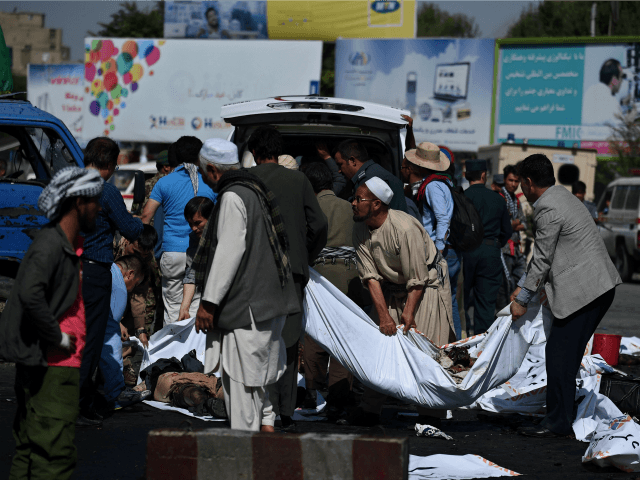 26 Jul 2016 Washington, D.C.
On Saturday, 80 people were killed and another 231 injured when suicide bombers linked to the Islamic State branch known as the Khorasan Province (ISIL-K/IS-KP) triggered two explosions at a rally in Kabul organized by ethnic Shiite Hazaras, according to Afghanistan’s Interior Ministry. The Sunni ISIL-K group has targeted members of Afghanistan’s Shiite Hazara minority in the past. While the jihadists from the Islamic State, also known as ISIS and ISIL, claimed responsibility for the attack, their rivals, the Taliban, strongly denied involvement. The attack has been dubbed the single deadliest attack in Kabul to be claimed by ISIL-K. Some analysts believe the assault is testament to the group’s growing capability in Afghanistan. ISIL-K is reportedly making inroads in the war-ravaged nation while fighting the Taliban for territory and influence. We don’t believe that we are seeing them spread right now. A suicide bomb against a bunch of frankly defenseless citizens really does gain an awful lot of attention for them, and it gives the perception of insecurity, but it doesn’t mean they’re stronger. The U.S. general added that ISIL-K is likely “in the same or even in a worse position today” than they were in recent months, reports Stars and Stripes. Echoing estimates from last year by the American and Russian military, Gen. Cleveland said ISIL-K has between 1,000 and 3,000 jihadists in Afghanistan. Saturday’s attack, the deadliest in Kabul since U.S.-led forces toppled the Taliban in 2001, targeted a demonstration of thousands of Shiite Hazaras. It was the first in the capital claimed by the Sunni militant group, whose operations have been largely confined to eastern mountainous regions along Afghanistan’s border with Pakistan. Some news outlets report that the attack was the deadliest of the nearly 15-year-old war in Afghanistan. The carnage is the single deadliest assault in the country since 2001, the year the U.S. invasion unleashed the Taliban insurgency, according to the United Nations Assistance Mission of Afghanistan. It marks the first time Islamic State has struck the Afghan capital since gaining a foothold in the country in 2014, and has stoked fears the extremists are gathering strength. The White House and the Pentagon have condemned the Kabul attack. In March, Afghan President Ashraf Ghani declared that ISIL-K had been defeated in the eastern Afghanistan province of Nangarhar, the group’s stronghold along the Pakistan border. But the militants have had an apparent resurgence this summer, despite continued Afghan ground operations and airstrikes by U.S. forces. Earlier this month, Nangarhar province police spokesman Hazrat Hussain Mashraqiwal said that the militants were able to hide in the region’s rough terrain and reorganize. In January, President Barack Obama granted the U.S. military authority to take offensive action against the Khorasan Province branch of the Islamic State. “I don’t believe we will be doing anything differently … the U.S. will continue to unilaterally target Daesh and will continue to conduct kinetic strikes,” said Gen. Cleveland. “I don’t think anybody would suggest that our work is complete in Afghanistan, nor will that work be complete anytime in the near future,” added Gen. Joseph F. Dunford, chairman of the Joint Chiefs of Staff, while briefing reporters alongside U.S. Secretary of Defense Ash Carter on Monday. Two days after the attack, the United Nations Assistance Mission in Afghanistan (UNAMA) reports that civilian casualties in the nation soared to a record high during the first half of 2016. In the first six months of this year, 1,601 civilians were killed and 3,565 were injured, marking a four percent increase compared to the same period last year. Nearly one-third (1,509) of the total casualties were linked to children.